The Education, Training and Youth Forum aims to bring together various stakeholders once per year in order to discuss key policy developments linked to the Europe 2020 strategy, the strategic framework for European cooperation in Education and Training (ET2020) and the European Youth strategy. 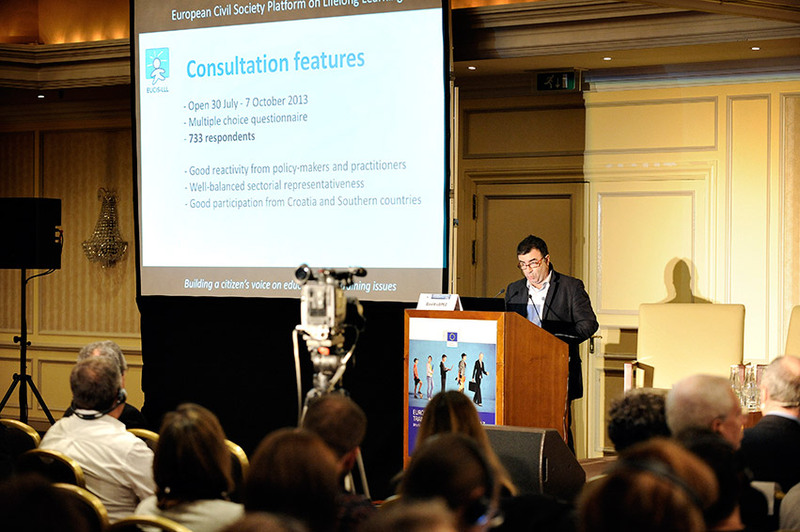 The 2013 Forum will promote the idea of “Working together for Reforms”, emphasising the need for policy-makers and key stakeholders to work in partnership, in order to foster the successful implementation of reforms at national and regional level, in particular through the opportunities offered by the new EU education, training and youth programme 2014-2020 “Erasmus+”. To prepare an open and rich discussion at the Forum, all stakeholders were called upon to take part in an online consultation and convey their ideas of how they could contribute to reforms through the programme ahead of the Forum. The survey run from 30 July to 7 October 2013, EUCIS-LLL collected 733 answers. The outcome were presented during the Forum.